Recently we had a business requirement to use a localization (Multiple language options) on a single page i.e. not for the whole portal website. But we don’t want to use out of box localization concept since it applies to whole portal website as shown in above screenshot. 1. Firstly we will create a “MulitpleLanguage” record (it can be anything) in Site Settings entity. 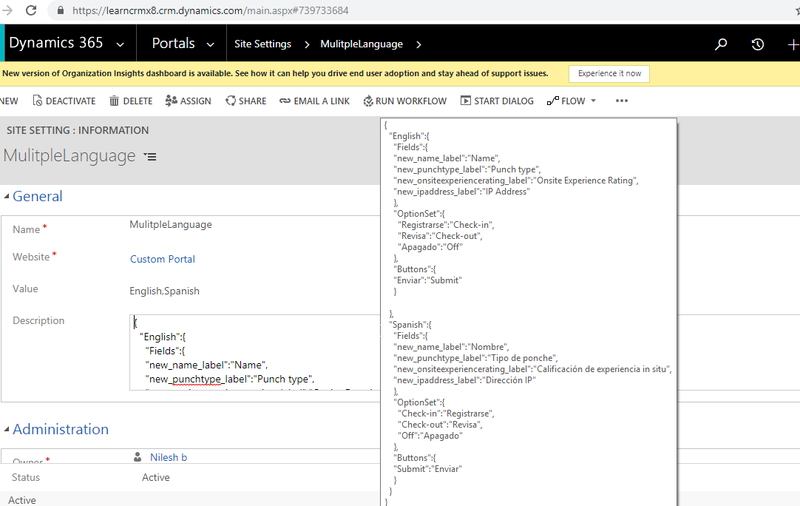 While creating Site setting record the Value field will contain different languages with ”,” separated and Description field will contains a translation json for each language as shown in the below screenshot. 2. 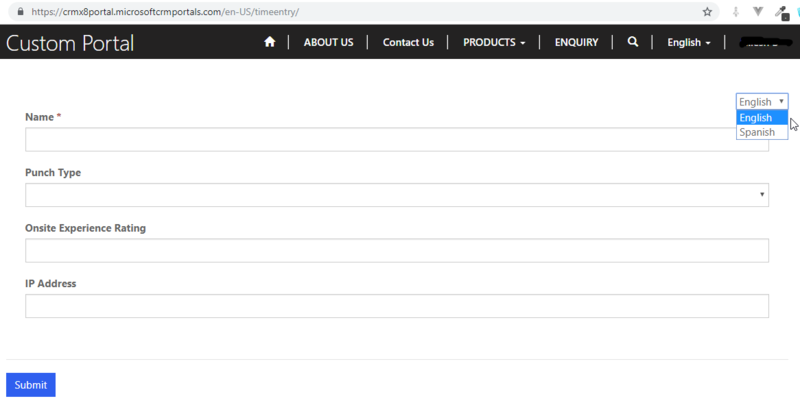 Now on the WebPage entity where we want to call the multiple language option we will have a Blank Page page template that calls Blank page web template. 4. 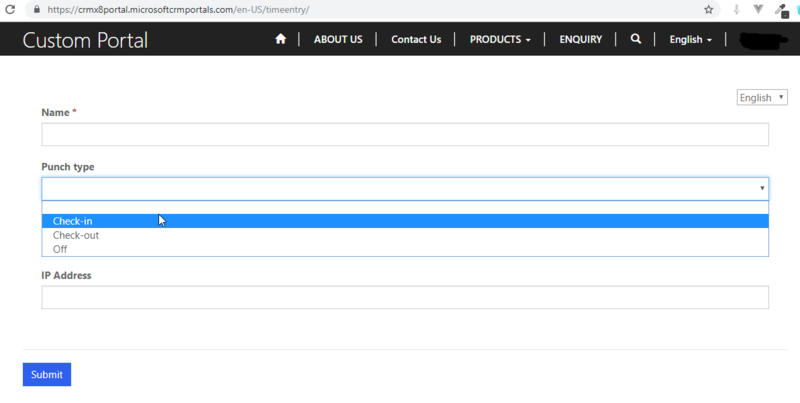 On change of the language in dropdown we have following translated form with the optionset value also translated in it as shown in below screenshot. By keep translation in JSON format in Site Setting record we can achieve the localization On single page.